“AncientSturgeon” is the name assigned by the user and “bbabce6e-OO16-4185-a93e-f2dd71bfbb8c” is the UUID generated during SIP formation. The AIP is zipped in the AIPsStore. The AIP directories are broken down into UUID quad directories for efficient storage and retrieval. 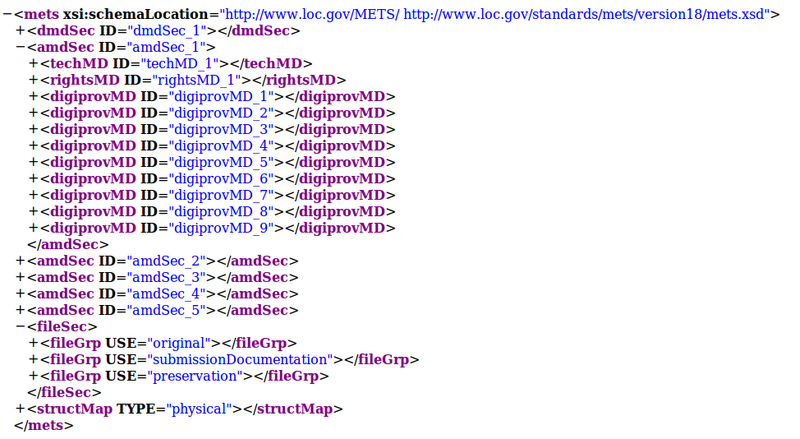 The data directory consists of the METS file for the AIP, a README.html file and three folders: logs, objects. and thumbnails.